PESHAWAR -- At just nine years old, Ibrahim Ghaffar has had a difficult life. "Abject poverty and ill fortune in the form of the untimely death of his father and mental illness of his mother made Ibrahim Ghaffar a 'street child'," said Syed Qaiser Ali Shah, an administrative officer at Zamung Kor, a development organisation working to protect children in Khyber Pakhtunkhwa (KP). On the street, Ibrahim became hooked to smoking hashish and because of social isolation he became vulnerable to falling into the hands of criminals or extremists, said Qaiser. But with help from Zamung Kor, Ibrahim's luck has turned around. Having no educational base, Ibrahim is now studying in kindergarten at Zamung Kor and says he wants to become a doctor and to serve humanity. The Zamung Kor home for street children in Peshawar, established by the KP government in November 2015, is dedicated to rehabilitating street children in a dignified manner, Qaiser told Pakistan Forward. "The children admitted here are called 'state children' instead of 'street children'," he said, adding, "The project is unique because of its special education programme and psycho-social support." "Street children are highly vulnerable to falling into criminal activities, including the most heinous ones like terrorism," Qaiser said. "If society ignores these kids, there are many evil eyes on them." "In our society, where terrorism has become a serious issue, such children deserve special attention to protect them from becoming tools of terrorists," he said. In Ibrahim's case, a Zamung Kor representative noticed him on the street and he was brought to the centre at the beginning of the year after his close relatives gave permission. He will likely stay for at least five years. "If Ibrahim was not brought to Zamung Kor, he would have [lasting psychological problems] due to [his addiction to drugs] and the deprivation he was facing," Qaiser said. Ibrahim goes home to visit his mother on the outskirts of Peshawar once a month and on special occasions like Eid. "Though I miss my home, I am happy here because I am getting an education and living better," Ibrahim told Pakistan Forward, adding that he likes the environment and the treatment he receives at the centre. "An estimated 1.2 to 1.5 million children are on the streets of Pakistan's major cities and urban centres, constituting the country's largest and most ostracised social group," according to the Society for the Protection of the Rights of the Child, an NGO with offices throughout Pakistan. "A number of children admitted here have tendencies towards violence," Shehzad Khan, warden of Zamung Kor, told Pakistan Forward. A psychologist on staff at Zamung Kor assesses the children's violent tendencies during the admission process and provides counselling if needed, he said. "The environment in the streets is very adverse and not only steers children towards bad habits like smoking and drug addiction but also leads them to crime," Shehzad said. When the Zamung Kor centre in Peshawar opened, it set a goal of admitting 1,000 street children, Zamung Kor Director Maj. (ret.) Harris Khan Khattak said in a video message posted online. "When we launched Zamung Kor, there were 25 children and now there are 130," he said. The organisation has sufficient space to reach the goal of getting 1,000 children off the streets, spread over 216 flats, Khattak said. It plans to ramp up its effort to accommodate 1,000 children starting with the fiscal year that began July 1. Admitting each child is a cumbersome procedure requiring relatives' consent, Khattak said, adding that the administration is prepared to face all challenges of rehabilitating the maximum number of children. "Beginning in July, Zamung Kor will make arrangements to admit female street children," he said, adding that admitting girls is a sensitive issue that requires extra time for working with the girls' families. Imran Khan, chairman of Pakistan Tehreek-e-Insaf (PTI), the governing party in KP, expressed the resolve to set up Zamung Kor branches in all 26 districts of the province, Qaiser said. 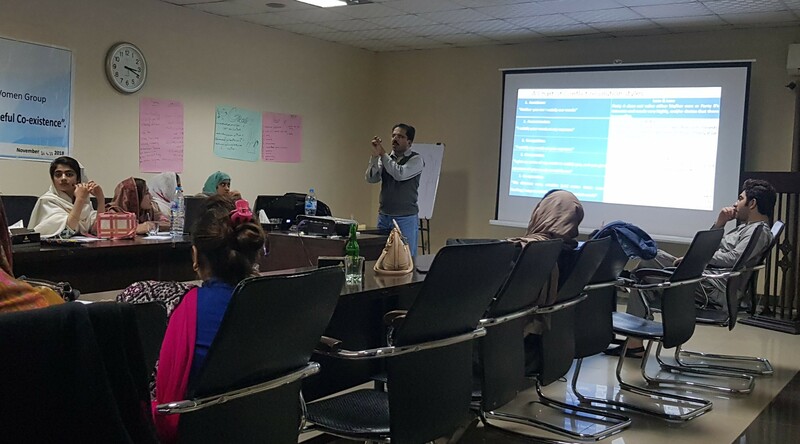 "Street children are highly vulnerable to sexual abuse and to predators who train them to pick pockets and commit other thievery," Taimur Kamal, co-ordinator of the KP Civil Society Network, told Pakistan Forward. "Such vulnerability to crime can lead them to become violent and extremist in adolescence." Kamal expressed appreciation for Zamung Kor's initiative but said, "The goal of protecting 1,000 children is very meager compared to the number of street children in our society." "There are about 7,000 street children in Karachi alone," said Imran Takkar, a child protection activist, citing information from the Azad Foundation Pakistan, another NGO working to protect children. "Zamung Kor is a good initiative, but we need to do much more to protect the most vulnerable section of society," said Takkar. He urged the Pakistani government to conduct a survey to determine the exact number of street children nationwide. "The figures we share with the press are the result of surveys by NGOs," he said. "No official attempt has been taken in this regard." 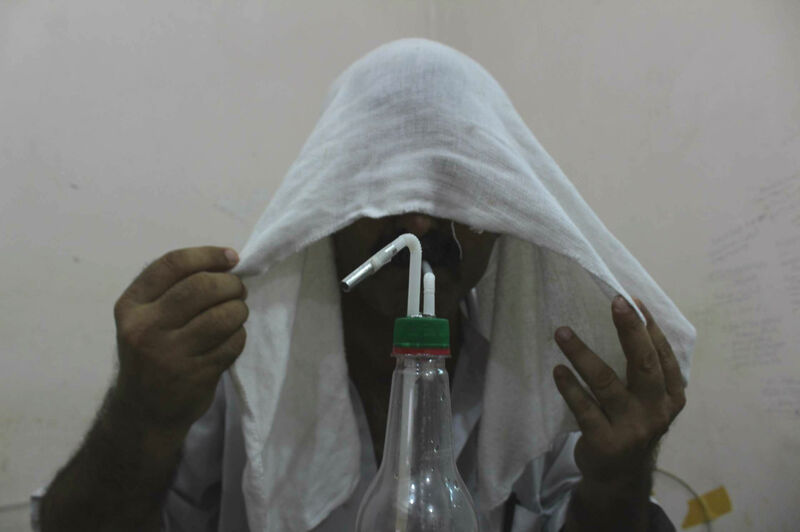 The KP government plans to enact a law to curb the use of 'ice', a potent form of methamphetamine.